Well, I said I wanted to get more excercise. I have had a gym membership for years. I used it for about 6 months, been paying for it ever since, in more ways than one I might add! I mentioned to my oldest, who is very active, that I needed to get back to the gym. No problem Ma, I will sign you up for a spin class. So I went, not exactly sure what to expect. I mean, after all, what can you do on a bike? Let me tell you…….a lot can be done while cycling. I have one piece of advice, GEL COVER!!!!! If you never listen to another thing I say, take heed to this one. 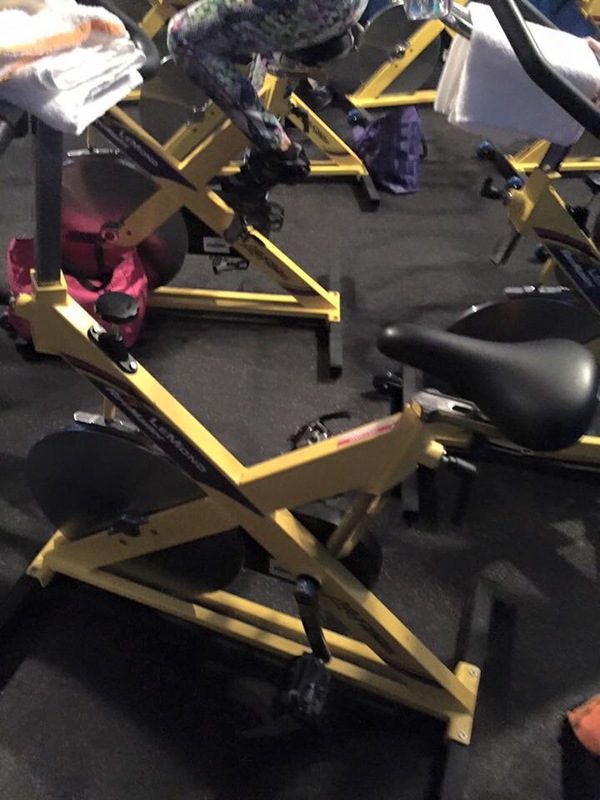 Picture this…..A dark room, an instructor with a headset microphone on, 6 people on stationary bikes, and on comes the music to set the pace and tone. So far, so good, I’ve got this. So we cycle to get warmed up and then it begins. Sprints, jogging, increased pedal tension, reduced pedal tension, sweat pouring, leg aching, great music, thought I was going to die. Then, “pick up your hand weights”. What????!!!!!! I thought she was kidding….NOPE! Weight lifts while cylcling, dear Lord. She took pitty on me and saw that my lady parts were in pain and gave me her seat cover. As she said “a little piece of heaven”. I must say I am a bit tender today, but not as bad as I thought I would be. I have already gone on Amazon.com and researched seat covers. So, yes, I am going back. I slept like a champ and I actually felt energized afterwards. I initially thought about cancelling because I had worked all day and was exhausted. So glad I went! They tell me it takes 3 classes to adjust and feel better or “numb”, haha! If you’ve ever considered trying it, please do. Borrow or buy a gel cover. It might make your initial perspective a bit more positive. I will keep you posted!